Qualcomm says this chip is intended for both augmented reality and virtual reality applications. The company has opted to call all these different types of reality "eXtended Reality," hence the XR1 name. Qualcomm estimates there will be 186 million standalone eXtended Reality devices by 2023, and it wants to be making the chips that power them. 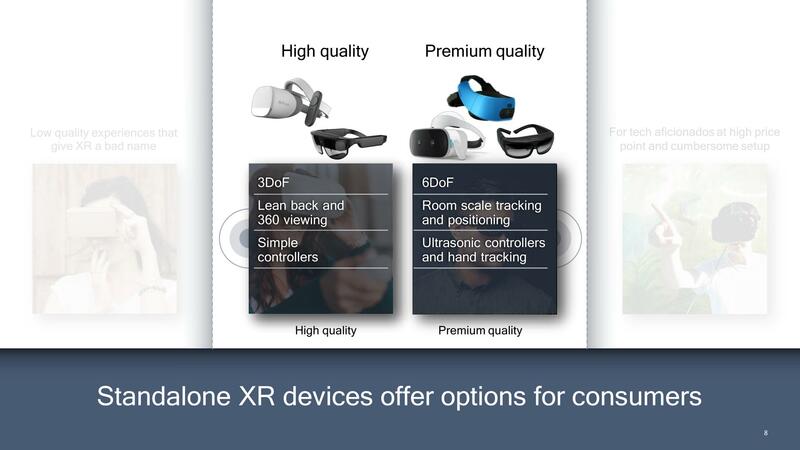 The Snapdragon XR1 platform will support different feature sets for premium and mainstream headsets. A cheaper device might only have three degrees-of-freedom (DoF) and no positional tracking while a more expensive one running the XR1 could have six DoF, room-scale positioning, and ultrasonic controller tracking. Unfortunately, many of the hardware details are still under wraps. We know the XR1 will have Kryo CPU cores and an Adreno GPU. We just don't know which ones or how many. It will lack some smartphone-specific things like a modem. 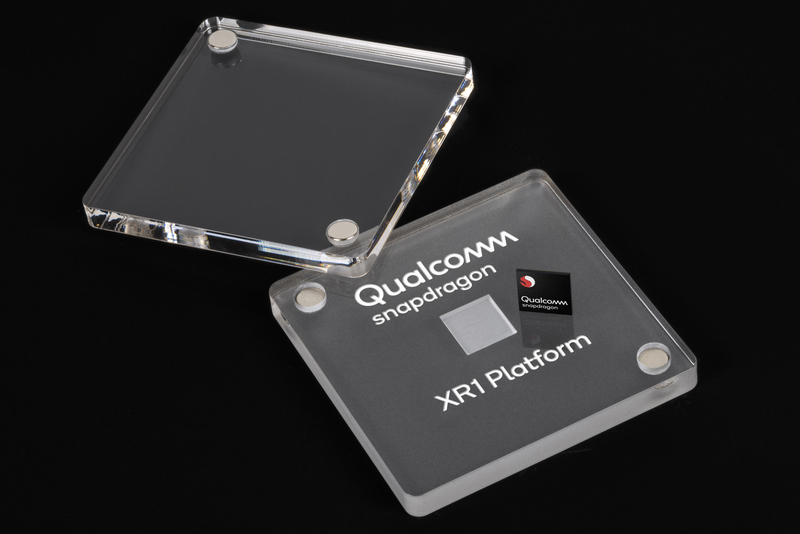 Qualcomm says the platform will have hardware support for the Snapdragon Neural Processing SDK. That supports the Caffe, TensorFlow, and ONNX frameworks. The first headsets with Snapdragon XR1 chips could appear late this year. We expect to learn more about the specs closer to release.